The 50-year-old Bow Creek Community Recreation Center was demolished in December 2013 to make way for a new community center. In March 2015, the 68,000 sq. ft. replacement facility celebrated its grand opening with world-class amenities and top-notch programs and classes. The decision to modernize was based on citizen input, current recreation programming trends, and increased recreation center utilization. 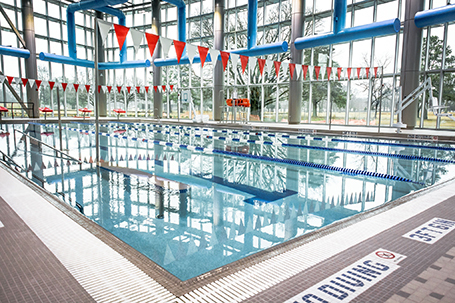 The new $23 million center features an indoor swimming pool, expanded cardio/weight training area with group fitness studio, indoor double gym, youth game room, meeting rooms, and classroom space for early childhood programs. Also included in the design is a separate golf pro shop, snack bar, and a golf cart storage facility. The design team took great pride in its sustainable practices with the goal for LEED certification. 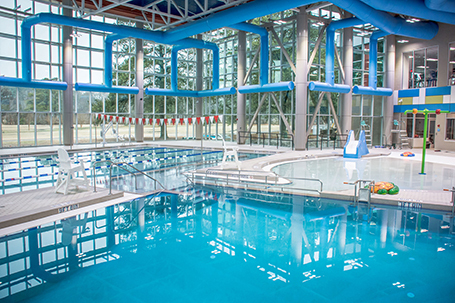 A geothermal mechanical system provides the recreation center with substantial energy savings. The team utilized products and materials to provide a quality indoor air environment for fitness and wellness activities. Moreover, the team pursued exemplary performance points for on-site stream restoration to treat Bow Creek neighborhood storm water runoff.